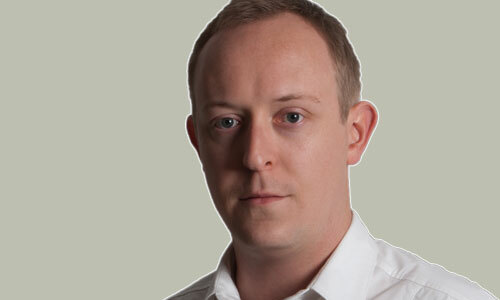 You are at:Home»Opinion»Craig Wilson»Is that a phone in your pocket, or…? Is that a phone in your pocket, or…? The first cellular phones were cumbersome, ungainly things that required strong arms and frequent access to a power point. Then the great shrink happened. By the end of the 1990s, phones had evolved from briefcase-sized to pocket-sized to change-pocket sized. And then, just as suddenly, the shrinking stopped. In the heady early days of cellular phones, smaller really did seem to equate to better. The then leaders in the field — Ericsson, Motorola, Nokia, Siemens – constantly tried to outdo each other with progressively smaller phones. First, the external antennas vanished, then the spaces between keys did likewise, and finally the clamshell design took off. At first, when consumers were only using cellular phones to make calls and, later, to send SMS messages, the argument for smaller handsets seemed a valid one. After all, cellular phones were meant to be mobile. Early in the new millennium, however, it became clear that with improvements to screen technology, graphical user interfaces, and increasingly efficient input methods like predictive text, cellular phones were destined for far loftier things than merely calling and sending text messages. In the early 2000s, the Internet had already begun moving from the realm of novelty to necessity, and consumers expected cellphone manufacturers to follow suit. Two further developments, the rise of social media and the increasing prevalence of touch-based displays in consumer devices, sounded the death knell for micro-phones. Suddenly, consumers wanted to consume text and graphical content on their phones without having to scroll every three lines, and with consumer demands came larger, brighter, more colourful screens. The Dell Streak ... is it a tablet or is it a phone? With the advent of the iPhone in 2007, it seemed that rival manufacturers had implicitly agreed that the optimal screen-size for a phone was about 3,5 inches — after all, if that was good enough for Apple (a company that makes only one handset, in stark contrast to the dozens of different models Nokia puts out every year) it was probably good enough for everyone else. Screens continue to grow in size, while handsets get slimmer and slimmer. For a while, a 4-inch display was innovative, then it was 4,3 inches, and now some manufacturers are trying to make 5-inch screens de rigeur. 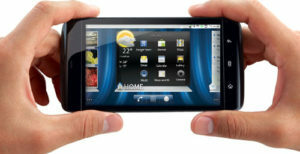 Dell’s 5-inch Streak is fittingly called a “tablet phone” because, after all, that seems to be where things are heading. With most tablets accepting Sim cards for 3G connectivity purposes, there have been murmurs since the first iPad about the inevitability of phones and tablets eventually merging. The problem is that pressing an iPad to your ear is guaranteed to make you look like an idiot. Arguably, a 7-inch tablet like Samsung’s Galaxy Tab or HTC’s Flyer would make you look marginally less idiotic, but only marginally. The same pragmatism and usability demands that stopped cellphones from shrinking seem likely to prevent them from becoming tablets with phone functionality. A huge phone is no more practical than a tiny one. A tiny one is portable, but can’t deliver content, while overly large ones favour content at the cost of portability. Some critics have said tablets are essentially crippled phones and are simply a way for the likes of Apple to make (even) more money. But tablets fulfil a different purpose. Despite its sizeable screen, I’d far rather read a magazine or news site on my tablet than my phone, but I’d rather use my phone for GPS than my tablet. Similarly, while it’s possible to view and even edit documents on most smartphones, it’s an undeniably more pleasant experience to do so on a tablet. If you’ve ever tried to type a long overdue e-mail missive to far-flung family members on your phone you’ll doubtless agree with me. Perhaps I’m mistaken and phones and tablets are destined to merge. Perhaps LED screens will become so thin and flexible that a phone could fold out to become a tablet. Or perhaps the size of future handsets will be decided by the fashion industry – because, after all, the practical definition of a mobile phone is this: it fits in a pocket.